Until recently it was hard to get your hands on American comics in the Europe. If you wanted to read the latest adventures of the X-Men or Superman, you had to import them. European audiences were familiar with superheroes—but largely through movies and TV. For a lot of older comic fans from Europe this has led to some... eclectic comic tastes. Like Julian Voloj, whose parents immigrated to Germany from Columbia in the 70s. Since the mid-1980s Voloj has been collecting the American comics he could acquire. In this episode of Show Me Your Nerd, Voloj takes us on a tour of his favorite American comics from the ‘80s through to the present day. There’s some goofy Kid n’ Play comics, an “unauthorized biography” of Ice T, and even a few issues of the comic adaptation of Ghostface Killah’s excellent album Twelve Reasons to Die. That album, besides being some of the inspiration for Voloj’s graphic novel, Ghetto Brother, was also featured heavily in Netflix’s Luke Cage last year. 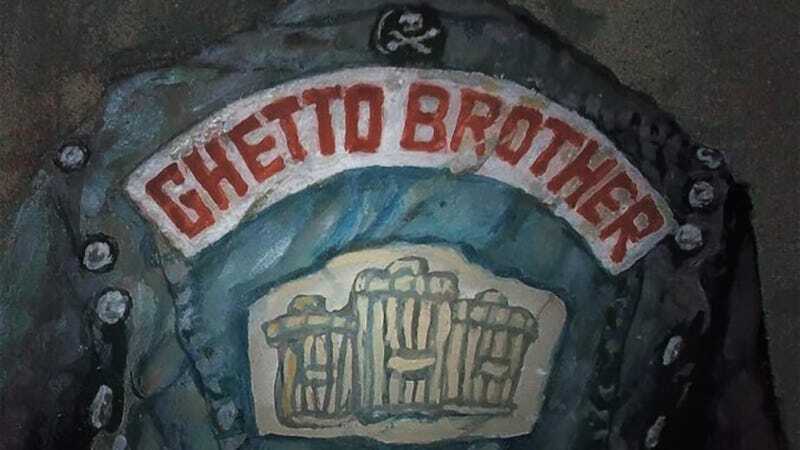 Voloj published Ghetto Brother, the story of Benjy Melendez, two years ago, but late last year Junot Diaz declared the black and white graphic novel one of his favorite books of the year. So if you dig Voloj’s comic collection you may want to go check out his own comic.